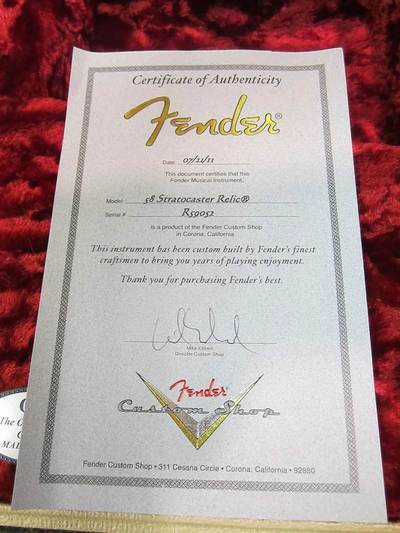 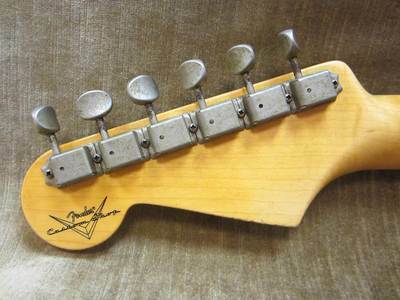 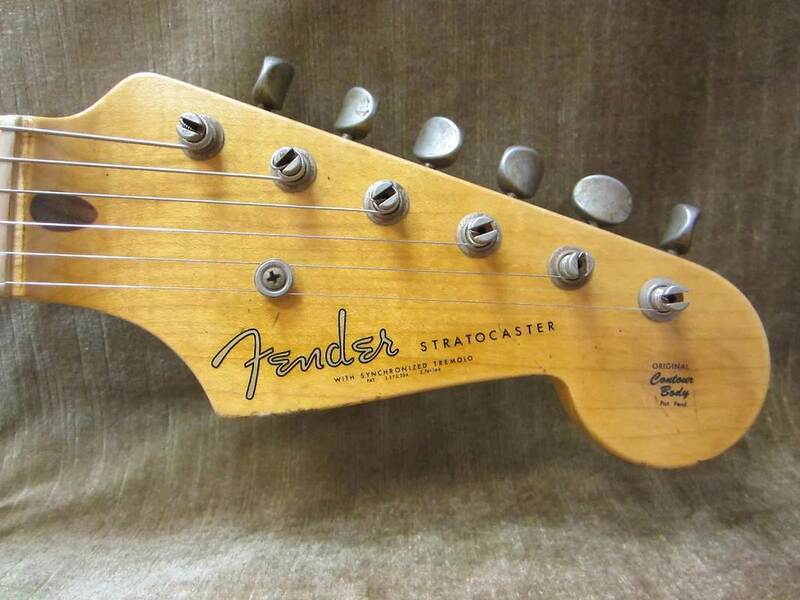 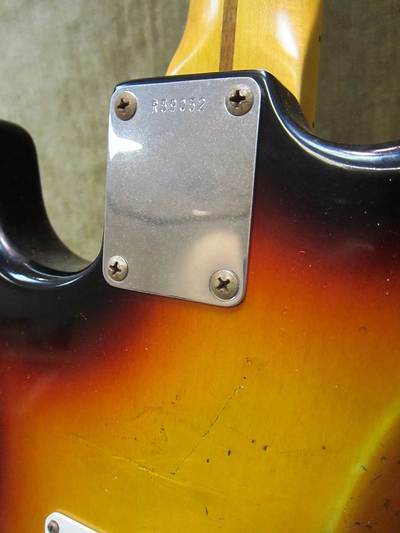 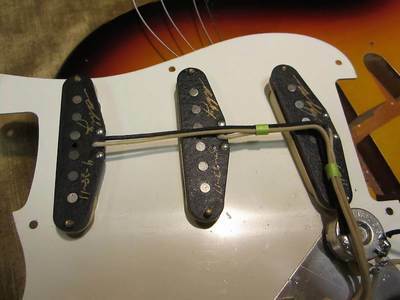 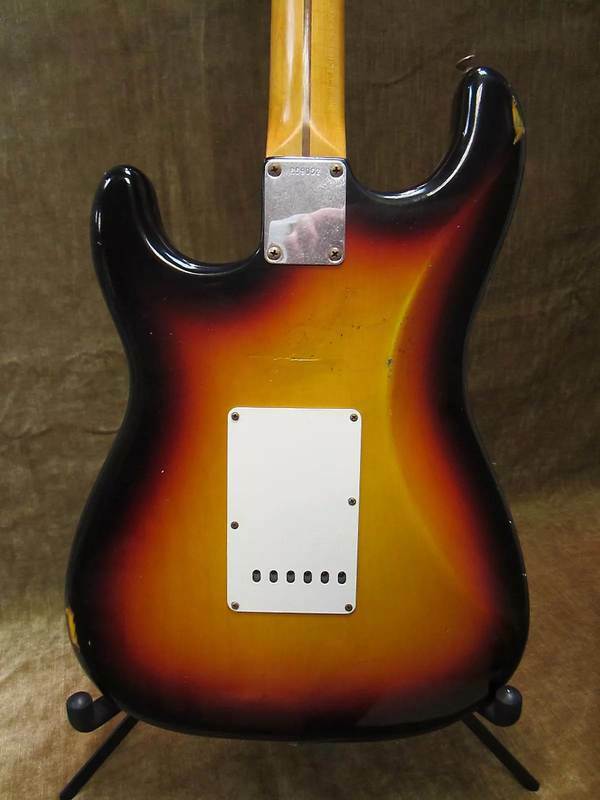 Neck Shape: 10/56 Large "V"
Other Decals, front: "STRATOCASTER", "WITH SYNCHRONIZED TREMOLO", " PAT 2,573,254 2,741,146", "ORIGINAL Contour Body Pat. Pend." 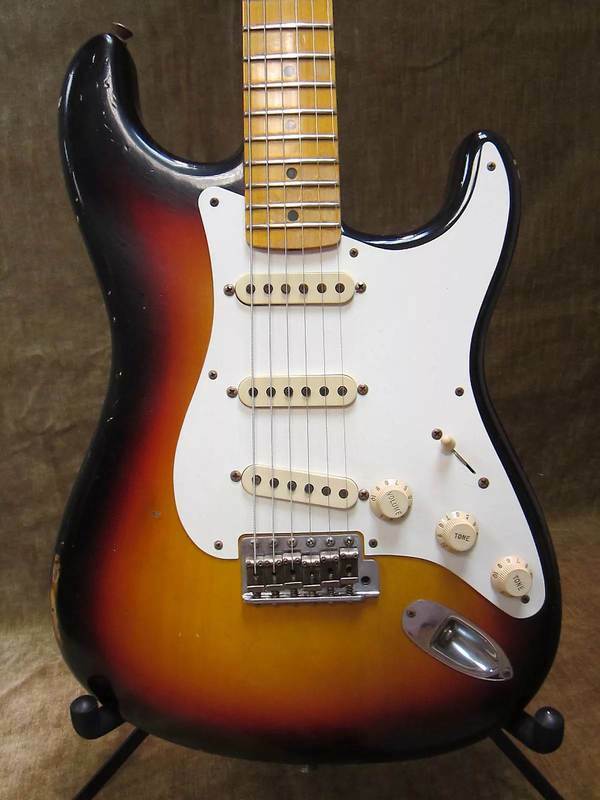 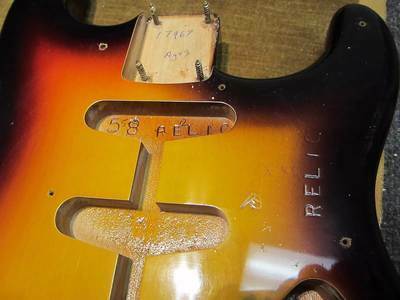 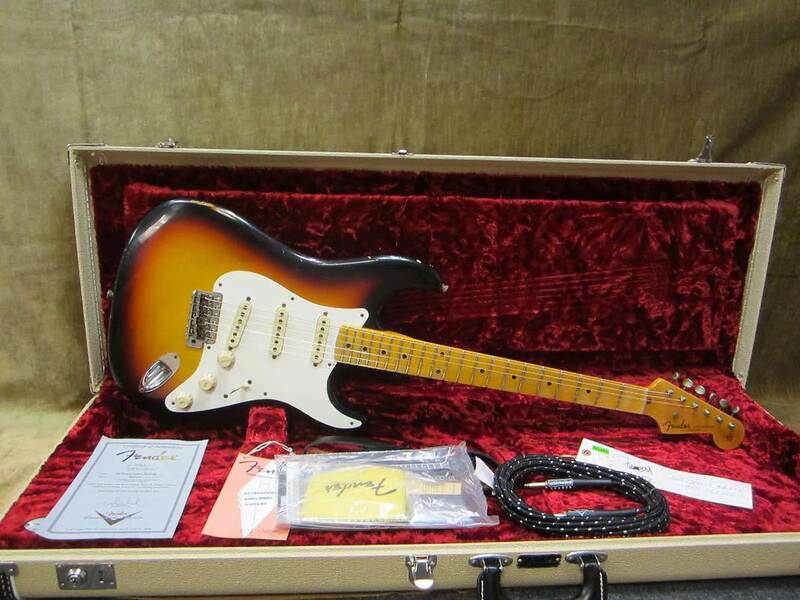 The Time Machine 1958 Relic Stratocaster evokes the first-decade glory of the model, with features including an alder body with a Relic lacquer finish in distinctive Chocolate Three-Color Sunburst, tinted one-piece maple neck with mid-’50s (10/’56) large V shape, maple fingerboard with 9.5” radius and 6105 frets, Master Design pickups with five-way switching, single-ply parchment pickguard, vintage-style hardware, blonde case and certificate of authenticity.